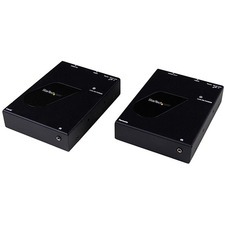 Transition Networks' analog composite video media transmitter, J/VD-TX-01, converts a CCTV signal from cameras to a single strand of multimode or single mode fiber for up to 10 km. 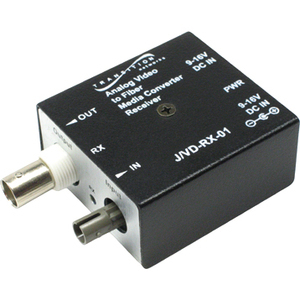 Transition Networks' analog video media receiver, J/VD-RX-01, converts the optical signal back to an analog composite video signal. All conversions are performed in real time. 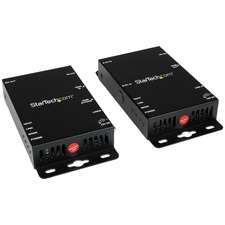 Automatic gain control installed on both Transmitter and Receiver maintains desired quality of video's contrast and brightness for extended distances. No field adjustments are necessary. 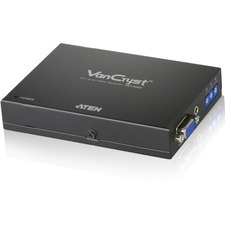 Wide input range power supply allows for multiple choices of power source including camera power supply. To assure best quality, Transition Networks' Transmitters & Receivers should be used on both ends of the link.